Waki Pharmaceutical is a pharmaceutical company in Nara Prefecture, which is engaged in the manufacture, sale and research and development of pharmaceuticals and health foods. We will aim to be a pharmaceutical manufacturer that supports everyone’s healthy life through dissemination of information on medicines and research results, and implementation of qualification acquisition training for registered sellers. WAKI has a strong heritage in dried earthworm powder. HLP is a group of fibrinolytic enzymes that has been developed through a joint research with a Professor Emeritus of Kyoto University. Research has shown that it may support and maintain healthy cardiovascular function. WAKI has been dedicated to manufacturing over-the-counter medicines for more than 130 years. Our unique brand has a long history of helping families feel better. WAKI offers a unique variety of dietary supplements. Each one of them is created through the advanced technologies. Let our high-quality supplements help you enhance your health. 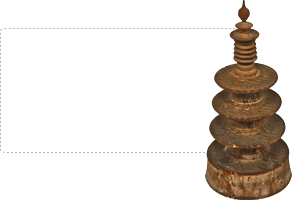 Approved by the temple, “The One Million Pagoda” has been registered as a company logo with a wish of good health. Copyright (C) 2019. Waki Pharmaceutical Co.,Ltd　All Rights Reserved.